Consistency, consistency, consistency, that is one thing we really preach here at threethousand,co.uk, and for that reason we are always excited to see extended projects hit their full potential. As a label, we are always impressed with what 1Forty bring to the table, representing multiple genres and different sounds across the board. Over the last month we have seen them leap into action again, this time putting together a month’s worth of free releases, alternating between a range of genres and artists giving us a super tasty bundle to work with. This type of project is the perfect way for labels such as 1Forty to showcase their broad rosters and genre brackets, keeping people on their toes, not knowing what is around the corner. The first track of this month of giveaways came from J Kong, who kicked things of in perfect fashion by joining forces with the exciting vocal talents of Lavz, working together across a grimey banger entitled ‘Cut That’, packed with synthetic energy and exciting rhythmic precision. The following week, things to a more bassy turn, as the more melodic structures and heavenly melodic structures of Otis march into view. This track goes by the name of ‘Want U’ and is a seriously original piece of bass music design, focusing more so on harmonies and musicality rather than intense synthesis and crazy bass sounds. 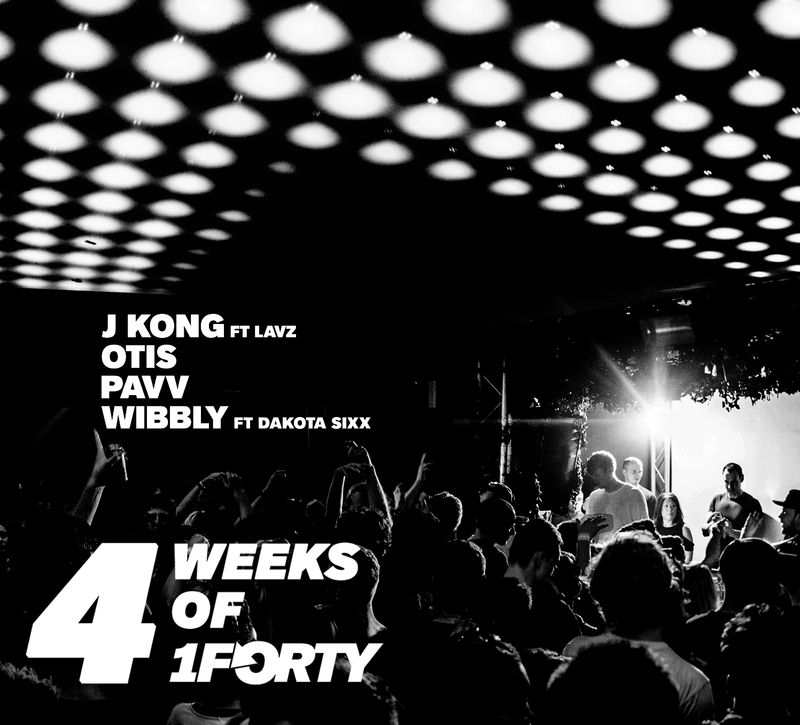 Next, we take a trip down a more funky path as 1Forty bring in bass veteran Pavv for a an experimental look into the carnival side of his production. As a composition, ‘Scorpion’ packs a major punch, swiveling briskly betwixt nostalgic string delves and popping bass instrumentation, bringing real energy to the dance. This was a great concept from the 1Forty team, and we very excited to see if they have plans in the works to run a similar release schedule any time in the near future.